All those who have booked the Mahindra XUV 500 have news to rejoice as they may not have to wait for 5 months to get their SUV cars. Mahindra is planning to increase the production of this model to around 3000 units a month by March. According to Vivek Nayer, senior VP of marketing of Mahindra and Mahindra, the carmaker is overjoyed with the 25,000+ bookings for their model. The company will increase the production as their Nasik manufacturing plant. In october Mahindra had stopped the booking within 10 days of the launch, as the model had managed to get 8000 booking which equaled four months production of the model. Even the second round of bookings was open for a span of 10 days from 25 January to 3 February and carmaker was expecting booking in the range of 7200. However, the carmaker announced on February 7 that it has received an overwhelming 25000+ booking applications from customers for the second phase of bookings for its XUV 500. Bookings was possible across 19 cities in India namely Mumbai, Delhi, Chennai, Bangalore, Pune, Hyderabad, Kolkata, Ahmedabad, Chandigarh / Panchkula, Ludhiana, Jallandhar, Patiala, Kochi, Trivandrum, Calicut, Trissur, Coimbatore, Nagpur and Nasik. 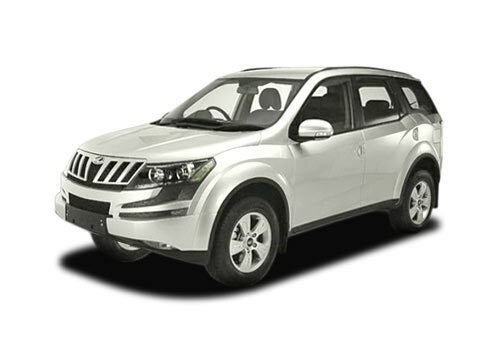 The main reason for the success of this new model is Mahindra XUV 500 price which is very reasonable. This Mahindra XUV 500 has a global design and is meant to ensure a global presence for the carmaker. So this XUV 500 has been made to meet the global standards. Even the name of the model have been given an oomph feeling where it is name Mahindra XUV 500 is pronounced as with the last to ‘00’ pronounced as alphabet ‘OO’, it symbolizes activeness and the agility besides the quickness of an SUV.